Joining the WA Health & Wellness community can help you achieve your fitness goals today! Washington Academy's Health & Wellness Center was built in 2010 in an effort to encourage students, staff members, and community residents to engage in fitness regularly. The Wellness Center is host to regular classes during the school day and has after school hours as well. 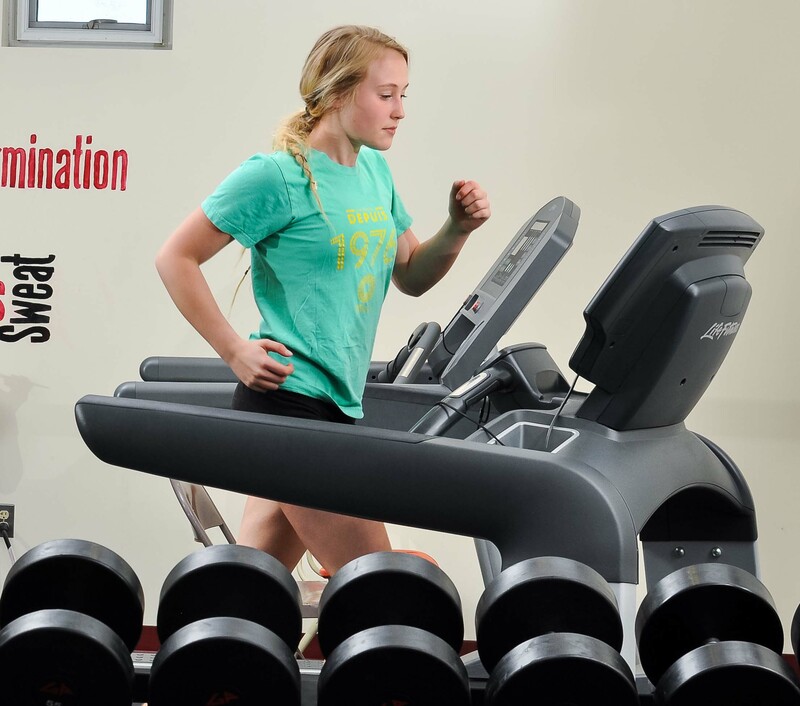 At the Washington Academy Health & Wellness Center, no matter what type of exercise you are looking for, we have what you need. Our equipment provides you the options of lifting free weights like dumbbells and barbells; increasing your cardiovascular strength on our various running, rowing and biking machines; isolating muscle groups through the use of our many strength building weighted machines; and gaining flexibility and mobility through our calisthenics section where we store resistance bands, medicine and slam balls, speed ropes, yoga mats, yoga balls and foam rollers.